Numbered or not numbered and can be duplicate, triplicate, quadruplicate. Invoice Books - Docket Books - Delivery Books - Receipt Books - Daily Report & Inspection Books - Quote Books and any other NCR Docket Book formats. 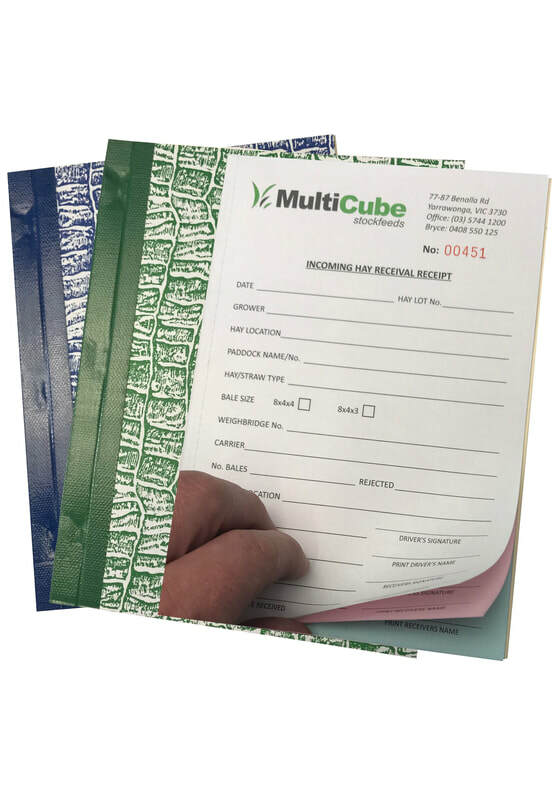 Standard sizes are A4 or A5 for quote, invoice and receipt docket books, bound with crocodile board or manilla wraps. Smaller sizes are available. We print in black with red numbering most commonly but full colour or single colour NCR books are available.